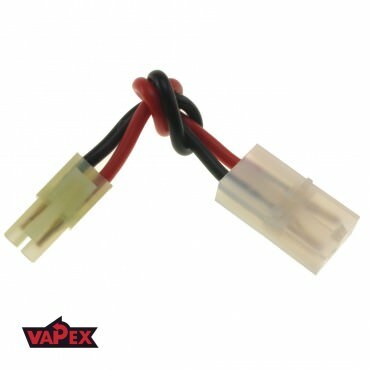 Adapter for batteries with small Tamiya style connector to connect to gun / charger with large Tamiya type connector. 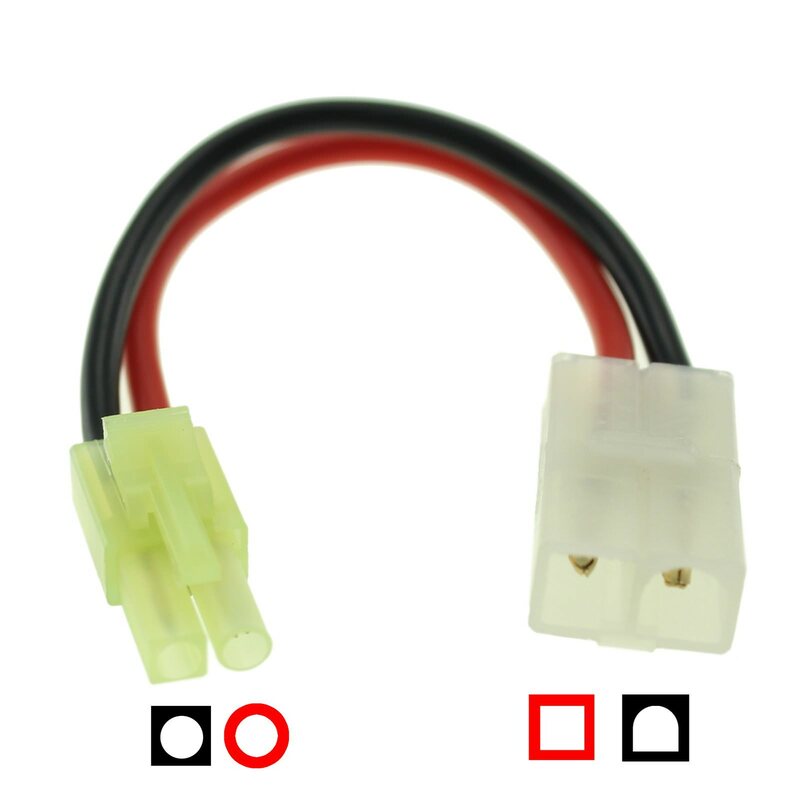 This adapter is wired correctly for airsoft use and should not be used for radio control as that is wired different. 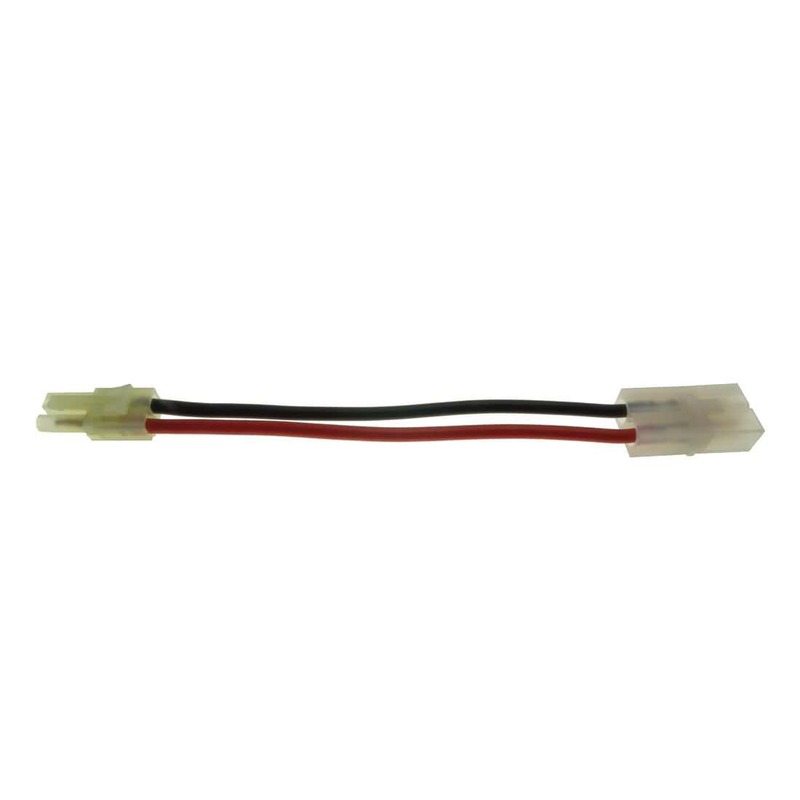 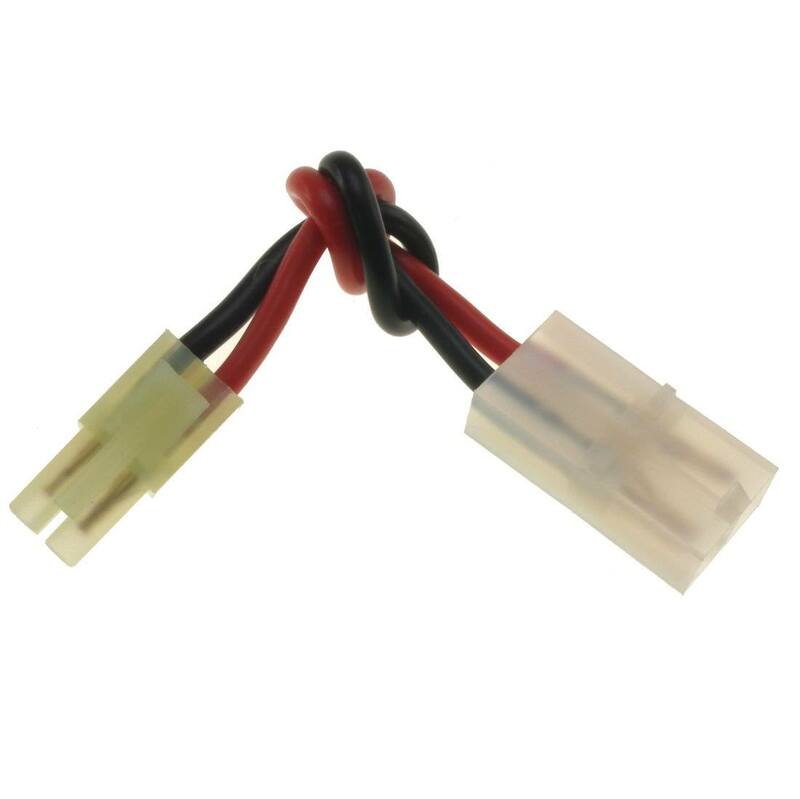 Female Tamiya to Male Mini Tamiya on on flexible 16AWG high temperature, silicon wire resistant up to 200°C. This adapter is intended for connecting a charger with a Tamiya male connector to a Airsoft battery with a Male Mini Tamiya female connector. 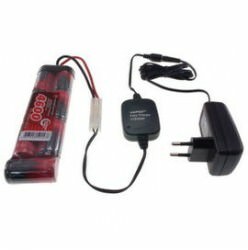 Designed primarily for charging rechargeable Airsoft batteries.